Being in the restaurant business for a while, you must have been in comfort of operating your restaurant POS system. Whereas other restaurants around you must have already upgraded to the latest version of POS restaurant software that leads to new business opportunities, a hassle-free process and efficient running of the restaurant. Settling down with the new POS system will not be easy however the long-term benefits are incomparable. While planning to switch select the best POS system for restaurant and keep in mind the following things for a smooth transition to the new POS system for your restaurant. These points will surely be helpful in the successful implementation of a POS system in your restaurant business process. Let us understand the above points in detail. With so many restaurants in the competition, each one of them strives to go the extra mile in order to stay ahead of the competitors in the same industry. So, is it improvising the services, running promotions or streamlining the restaurant processes for an improvised service through a POS system? Hence to understand their experience about the big switch you need to seek reviews and feedback about their experience. The brand of POS they were using and why did they switch? Are they satisfied with the big switch? How was the transition phase? What all the challenges they faced which switching to the new POS system? How long was the transition phase and was it worth the effort? Did switching to the new POS meet the desired goals? Was installing a new POS into the existing system difficult? Did the staff easily adapt to the new change? Is handling the payment process through the new POS easier compared to the previous one? All these and a lot more questions can be posed to get a clear picture of all the obstacles you could face while switching to the new POS system for your restaurant. Which POS to implement will be the final call of the restaurant manager or the business owner, however, involving the staff and seeking their opinion in the decision making process should be made as they will be the one who would use the system more than anyone else. Hence, considering their needs into account also matters. While discussing these aspects, you will also be familiarizing your staff to the new changes they are going to encounter in the way how the restaurant was being operated and why implementing a POS system has become the necessity. Even while installing the POS for Restaurants, the process involves your staff. This process will prove to be a training session, and throughout the process, you can brief them so that they feel being involved in the decision-making process. The more you engage your staff in the installation process of the POS they more they will be comfortable when the new system goes live. Finally when you have finalized the POS which is expected to be ideal for your restaurant process, now is the time you should determine the areas where your restaurant is lacking, and you need to prioritize in those areas and address them with the help of your POS. Hence before installing the POS make sure all of your priorities are being addressed. Does your restaurant need a mobile system? 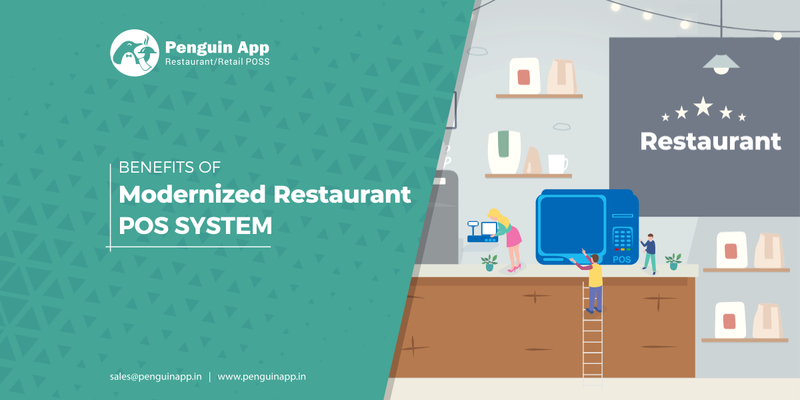 As a mobile POS system mobilize your restaurant processes, you can always consider this option if you are looking for a drastic change in your restaurant. Mobile POS system is smart enough to receive orders, send orders, charge customers, allows electronic signature and gives options for tip all at the convenience of the table. All these features will significantly add to the efficiency of your restaurant and improve the table turn time. Whereas many restaurants don’t want to mobilize the system and to these kinds of business a modern POS system still proves to be beneficiary. The benefits are regarding optimizing and staying abreast with the latest technology. The implementation process is the most critical step of the POS software for the restaurant. Here are a few steps which you should follow to make sure the implementation process goes smooth. Your restaurant data is the most important, and hence your legacy POS system holds all the past data make sure you take a backup of all the essential data from your previous system. Those who run on Unix and Windows have the benefit of an easy backup process, i.e. right from the systems file menu you get an option of backup or restore, and the backup can be copied in a hard drive. As the transition might affect the normal routine of your busy time of the day, make sure you schedule all such installations tasks for the time when the staffs are not busy. The ideal time is offseason when the business is slow. Now when everything is settled, give formal training to your staff, develop a working knowledge of the new system and introduce them to all the new features and make them understand the reason behind moving to the new POS. If you have been bothered by the functional restrictions of your modern restaurant POS, initiate the assessment procedure by classifying the module column and compare newer functionalities. Moving to the new POS system is not at all easy and requires some adjustment, however keeping the above points in mind will smoothen the process.